"Don Taylor has been involved in the Wunderkammern project for a number of years, creating his own fantastic objects. 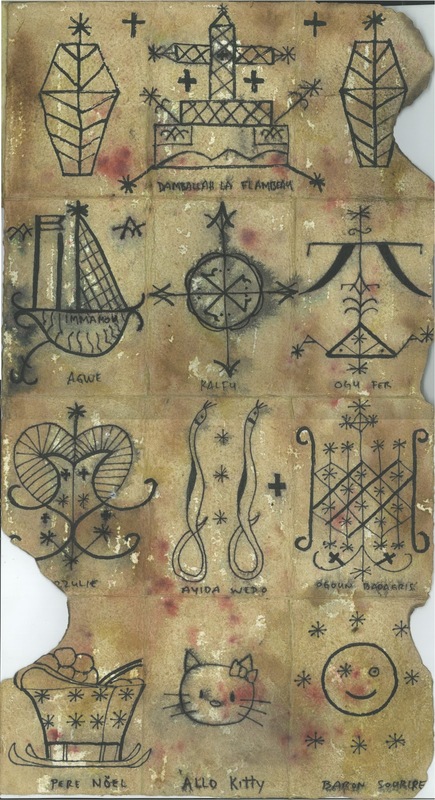 One example is his Voodoo Vademecum, a piece of parchment covered with signs and symbols, a breath mint tin, chicken bone and corn meal. 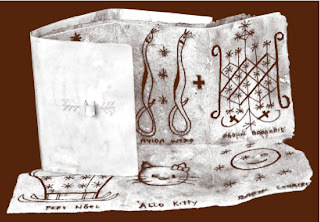 This folded document is housed inside a small box. Here the book is interpreted as a form used by a Haitian Voodoo priest (Houngan). 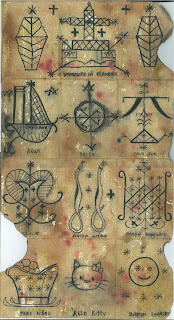 A ritual unfolds as the parchment is opened."